Once we had completed our hard work today, learning If I Listen With My Heart, I did ‘Freeze Like This’ with Jnr Primary. I printed out the pictures from Kami’s Primary Music Ideas site (link here) and pasted them on to thick cardboard. My Jnr Primary were already sitting in a big circle on their chairs, so I had them stand up in front of me, in the middle of the room. Go through the original song with the children, then show them the pictures. Can they stand like this? (show them the first card). If you’re happy and you know it, freeze like this (show another card). The children absolutely LOVED it! We started off really slow for the first time through the cards, then did it faster. The children got their wiggles out, and the teachers commented afterwards that they thought it was such a great way to do the song. The sunbeam children asked to sing it again in their class. I did it with Snr Primary too, to see what they would think (was it too babyish for them?) They really enjoyed it too, especially the Snr boys. For days when you’re in need of an action song, and the children are going to be restless, and you need something quick to grab. This is perfect for those stormy seasons we dread. It’s also one the children don’t get sick of. 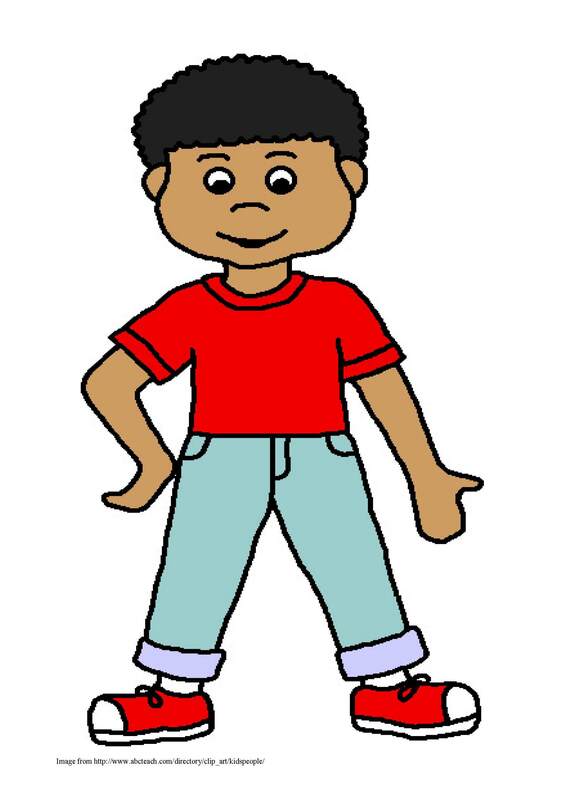 I have found a fantastic picture of a boy (thanks abcteach.com for your wonderful resources). 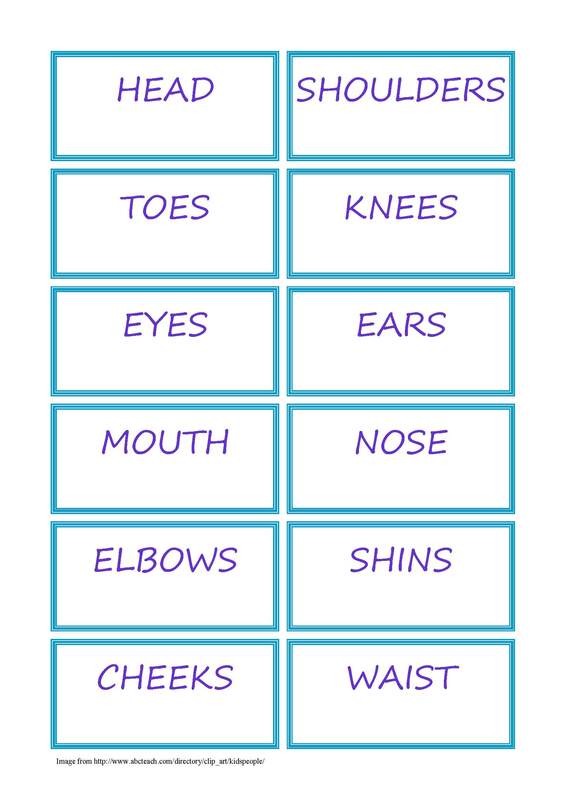 I put together a few simple wordstrips of body parts so you can change the words around – and label him with the words you wish to use. I’m going to start with the usual, then change a few at a time because I just know I’m going to get extremely confuzzled! Note: I did print out the boy in ‘Poster’ form, and the cards in ‘normal’ print. The PDF is normal though in case you want to print the boy out on A4 paper, and make the cards smaller. This could be fun for Nursery too!